SNSD are back. And with the excited and complicated run-up to the album’s release, the 9 girls have finally made their comeback on the Korean music scene. 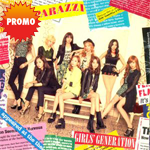 Girls’ Generation released the mini-album Mr.Mr. alongside a music video that captures a modern and catchy sound. The song itself has had mixed reviews, yet its position on the charts rocketed and you’ll find yourself humming the song under your breathe. 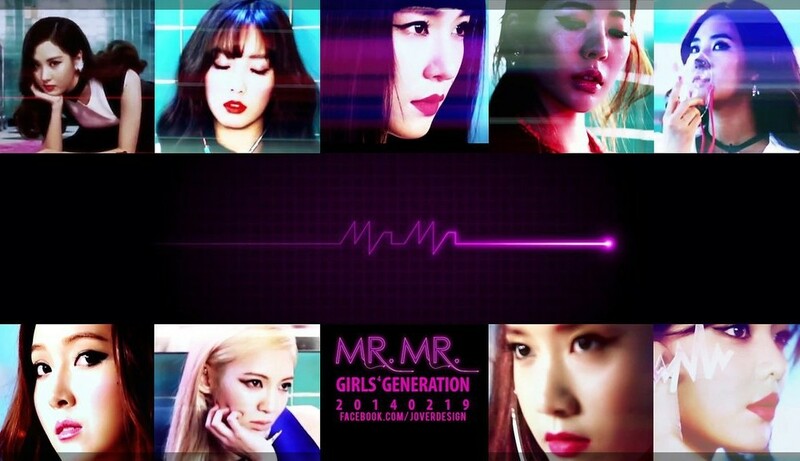 The title track Mr.Mr. encompasses a very different Girls’ Generation sound, the 70s beat compliments the girls vocal ability, and their harmonisation is really clear in the chorus of the song. In fact, the chorus really brings back a nostalgic SNSD feel, like some of their older songs, “Into the New world” and “Genie” where their voices combine for a very unique and refreshing take on the normal K-pop feel. The song itself makes an immediate statement in the first few seconds, with a new unknown beat to the usual sweet, bubble-pop style songs they’ve made. This new electronic beat kicks off the song, leading to a build-up of the girls vocals following to a final chorus. The bridge does follow a rather generic hip-hop breakdown, but it was interesting that they swapped a rap for this; and I think to many fans relief. The chorus is rather catchy, although the Mr.Mr line did remind me of Kara’s hit song “Mister Mister”, the two songs though are extremely different. And despite the feeling, that on first hearing, it is too generic. The reality is that after a couple of times on repeat, you realise that this song is a bit of a classic – one of the many SNSD songs that presents Girls’ Generations ability to make good hits. The rest of the mini-album provides a variety of colour, songs such as “Goodbye” work best with the richness of Taeyeon’s voice combined with the sunny, warm and inviting sound that Tiffany introduces. “Europa” is a fairly calm song, with not much excitement about it; the song “Back hug” reflects the natural calmness that the girls’ voices provide. In effect, the song presents their ability to make ballads uncluttered and constant. The tone of their voices is ultimately very soothing, a very easy song to listen to. The last song, “soul” isn’t new to the bands fandom as it was – because it is the Korean version of last year’s ‘Find Your Soul’. Girls’ Generation’s first Chinese song. “Soul” stands out as a perfect ending to this album, with the right amount of attitude to compete with the Mr. Mr. title track. All of the songs in this album are irresistibly light-hearted, with a lack of solemn ballads; the tracks make for easy-listening. However it wouldn’t be the first album of SNSD I would personally recommend. Despite the fact that the songs are of good quality, it isn’t quite as good as some of the girl’s other albums. In fact, if I was going to recommend an album for new listeners it would be “I Got A Bot”, despite a mixed reception for the title track, though the music video won YouTube Video of the year. The songs on this album are extremely good. 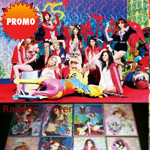 In fact this is album has treasures such as “express 999” and “Romantic Street” which make up for the varied view of IGAB. Overall I would give this mini-album a seal of a approval and after a few listening’s it becomes an important part of the Girls’ Generation collection. Here’s hoping that SNSD will include Europe on their world tour. Different thoughts on this comeback? Leave your comments below. [hu][en]A Dalshabet a következő hónapban visszatér egy új albummal! 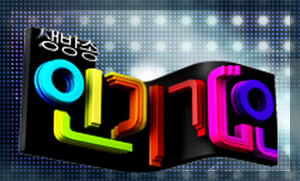 [en][de] Performances from the January 27th of SBS ‘Inkigayo’!